Life is so unfair to girls! We need adventure too. It's spring of 1878 on the Rockin'W, and Hallie Lou Wells is as cross as any fourteen-year-old redhead has a right to be. Roundup is over; Hallie's father will soon drive the cattle to Dodge City - and only boys are allowed to go on trail drives! But in country where anything can happen, something does. When Mr. Wells learns that Mrs. Wells is having another baby, he decides to stay home. Hallie persuades him to let her take his place on the drive. 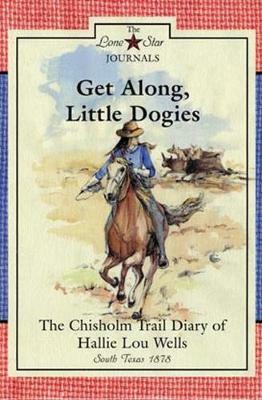 Hallie's Chisholm Trail diary, rich with depictions of ranch and trail life, is filled with adventures to engage any preteen reader, girl or boy.